Well, it’s been quite a month, hasn’t it? You’ve probably been wondering when we were going to come out of our secret bunker. Well, it’s time to step back out into the sunlight and share a little of what’s happened in the last four weeks. On February 17, 2017 at Noon Pacific, we flipped the switch on Gardens of Equestria: This Coming Storm’s Prologue, “The Watcher.” And the internet exploded. Just a bit. 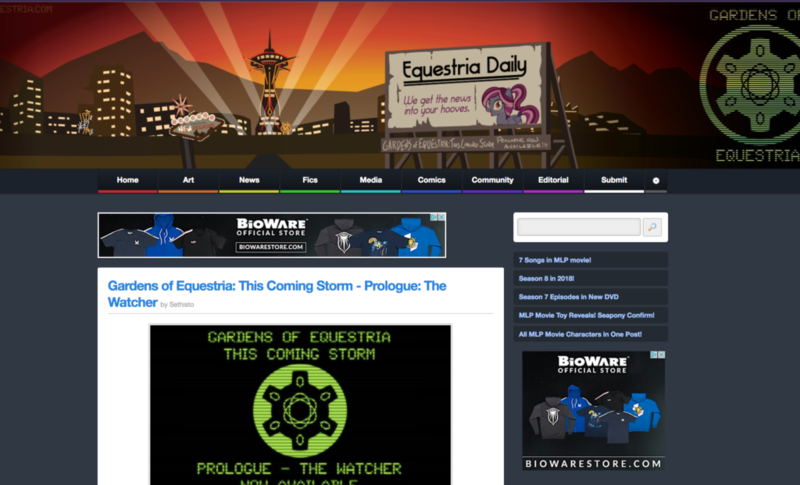 We launched with announcements on Equestria Daily, multiple locations on FimFiction, MLPForums, Twitter and the Reddits for MLP, MLPLounge, Fallout: Equestria as well as Fallout: New Vegas and Fallout Mods. In addition, we did announcement posts on the Discord channels for Manechat, Post-Apoc Emporium, Equestria Daily and several other places. 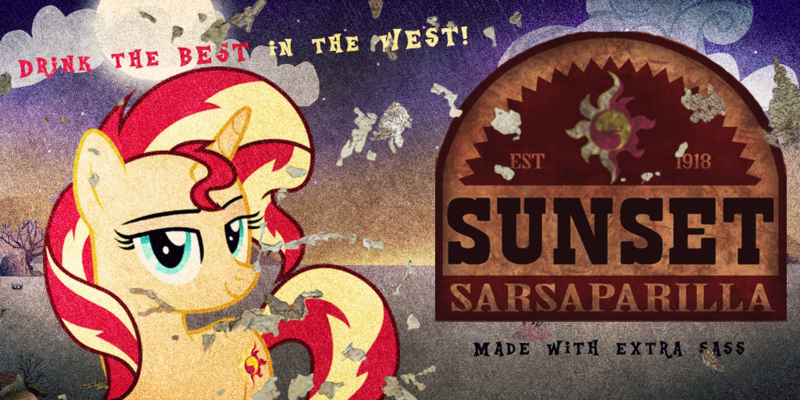 Thanks to the brilliant work of Blue Nova, our Art Director, we had a hand-crafted custom vector banner built for Equestria Daily. It came complete with parallax effects (meaning the billboard is on a separate layer than the background). We even used it for our banner on NexusMods. But the current banner for this site is the best it has ever had and it should stay as that way forever. This comment may have been repeated in some way or another in a few other places. (I also may or may not have just squeed nonstop while playing with scrolling to see just how freakin’ cool that parallax effect is). We also came out with new custom titles and headers for both Gardens of Equestria: This Coming Storm and for Gardens of Equestria: Smuggler’s Run (also done by Blue Nova). I’d also like to stop and say how proud I am to have him on the team. 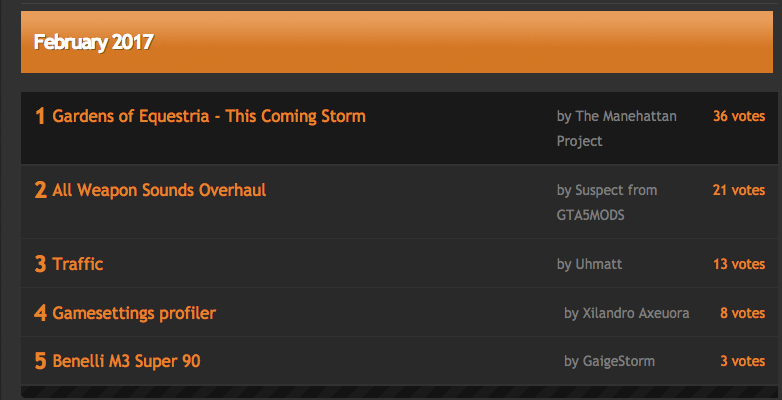 His efforts are what gave GoE’s NexusMods site that incredibly professional look. But most importantly, we finally let you play the Prologue for Gardens of Equestria: This Coming Storm. The result? Within the first twelve hours of going live, Gardens of Equestria: This Coming Storm was downloaded 335 times. On Saturday, February 18 alone, Gardens of Equestria: This Coming Storm was downloaded 525 times. Oh, but we’re not done. We’re not done by a long shot. Gardens of Equestria: This Coming Storm dominated the Fallout: New Vegas Hot Files. For several days, we were solidly at #2 on the Hot Files list. And then, we took #1 and we kept it until two weeks later. Despite an attempt by some to intentionally upvote other mods for the express purpose of preventing us from getting the Top File of the Month, we ended February with a whopping 15-point lead. “I never thought I would download a MLP mod as MLP isn’t my cup o’ tea. I’ll probably dedicate a new character to trying this out though sometime. Looks like you(y’all) put a lot of effort into it and seems to be something worth to look at. “This is Radio New Pegasus. Time to put on my newsman fedora. 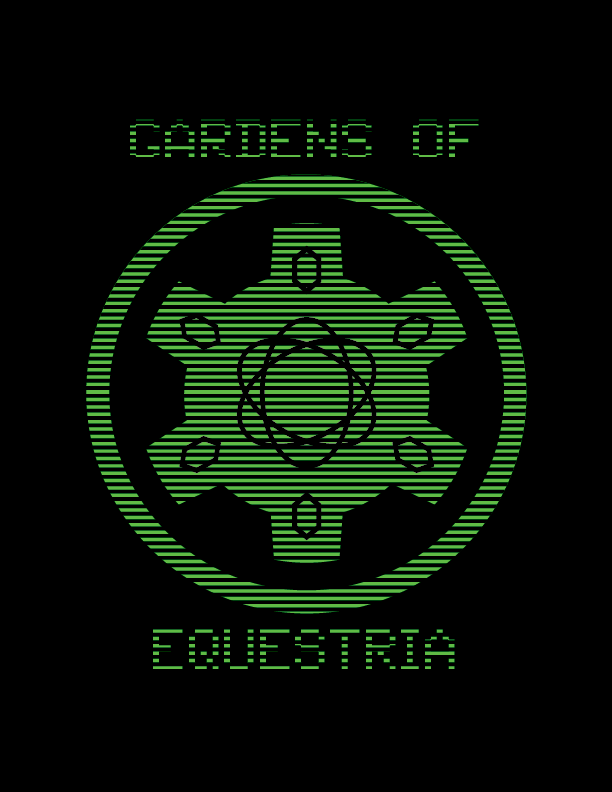 Today marks the official release of the first installment of the Gardens of Equestria mod. Fans of the Fallout: Equestria series are flocking in droves for the prologue of what’s planned to be a massive episodic adventure. Expect updates throughout the year. “This is truly a great day for this fandom.” – Chad W.
So… I’d say you folks liked it. You liked it a great deal. Well, we’re happy to announce that tgspy, the “Guinea Pig and Interior Decorator” from Fallout: The Frontier has joined the team as a Technical Specialist, who will be assisting us in level design, xEdit knowledge and a lot more. We’ve got a new artist we’ll be introducing in the coming weeks as well! We had our first team-wide meeting, spanning from the southern coast of Australia to the east coast of the United States (which went really well too). 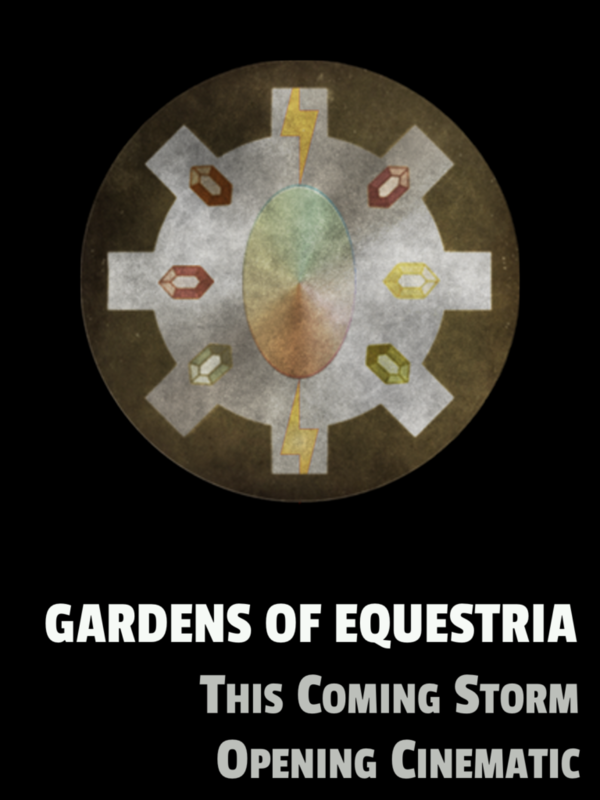 We’ve talked about expanding the scope of some of the original vision of Gardens of Equestria: This Coming Storm, going to some very cool places (that I’m not telling you about yet, of course). But to be perfectly honest, a lot of us were just taking a well-deserved rest! The team had poured their hearts and souls into this project for weeks. We busted our flanks to make this thing happen. And as Project Lead, I couldn’t be prouder of them. As for me? Well, I don’t let myself take breaks. I’ve been running an incredibly fun 24-author collaboration called SunLight Sliders, published my first non-Wavelengths story (The Cycle of Flame), written over 40,000 words and gotten some possibly very cool upcoming appearances. Now, I’m not here to give you release dates for Chapter 1. We’ll tell you when we’re launching when we’re ready. I’m not even going to tell you the content for Chapter 1. You can explore hints of that for yourself on gardensofequestria.com. What I’m here to do is tell you that this team has done an amazing job. We’ve done something that’s never been done before. We’ve started a story-driven DLC-style experience based on Fallout: Equestria. And for the record, you haven’t even begun to see what we have in store for you. Smuggler’s Run was the commercial. 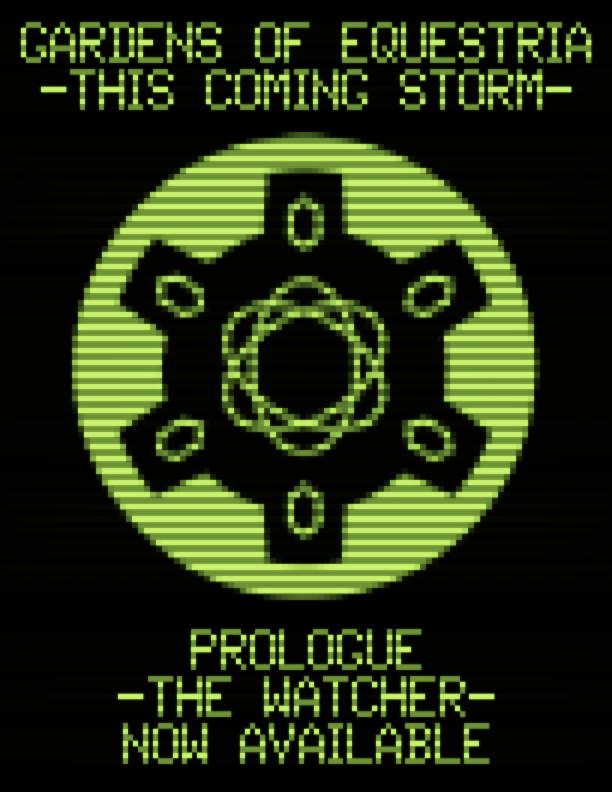 The Watcher was the part before the opening credits. Now… now we get to the mane attraction. And it’s going to be epic. So saddle up, your in for one hell of ride. This has been Novel Idea, until next time, stay safe out there and have fun! Manehattan Update #51: Two New Environment Preview Trailers! Novel Idea here with a very special surprise for you! As many of you know, last Saturday, October 23, was Fallout Day! (October 23, 2077 was the day the bombs fell in the Fallout Universe). Well, we didn't want to let this special day pass without something for you. So now, we are very proud to present the next two Environment Preview Trailers for Gardens of Equestria: This Coming Storm! Before we get to that, though, I have a special announcement! If you're interested in becoming a part of The Manehattan Project, creating an epic game and having something truly awesome to put on your portfolio, please let us know at our Recruitment Center! Now, we have a new piece of art for you! 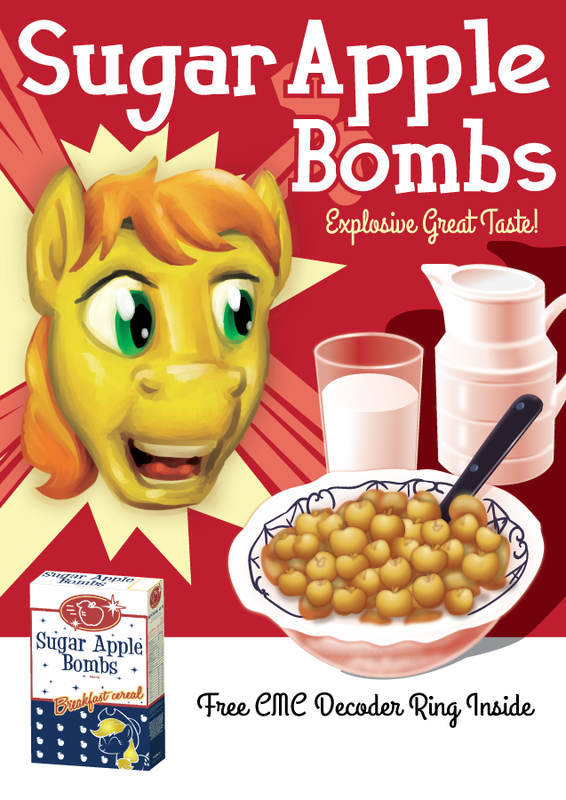 Another gem by Blue Nova, this is the official artwork for everypony's favorite breakfast cereal: Sugar Apple Bombs! This one was fun. Blue and I had a long discussion/argument about who should be featured on the poster. Originally, it was going to be Pinkie or AJ, but they just didn't work for a multitude of reasons. So finally, we decided we needed an Apple on there! We played around with the idea of Babs Seed, but since I don't think her fate has ever been covered in FO:E (or even mentioned, since she appeared after the 'canon lock'), we decided to go with everypony's favorite Appleloosan Resident: Braeburn! Now seriously, how epic did Blue do on this? Details as fine as the shape of the cereal pieces? And by the way, yes that is indeed the box you'll be seeing in This Coming Storm! Now, onto the mane event! I am delighted to announce that this is the debut of our new Cinematics Lead, Scarlet Moon. A talented mare with years of experience working cinematographic magic, Scarlet Moon was simply critical in putting these together. I know they look similar to the previous ones, but they are indeed quite different. While I did the game capture and we used the intro and outro I had designed for the previous trailers, she did all the editing and clipping, including working Corvus's wonderful music into the pieces! First, we have the GoE: This Coming Storm Environment Preview Trailer #3. In this special preview trailer, you'll get a sneak peek at the Stable 207 Living Quarters as well as the brand new version of Appleloosa Valley! Stable 207 Living Quarters is a vast complex containing an apartment for the Courier as well as rooms for Littlepip, Velvet Remedy, Calamity and Steelhooves. Use it as your base of operations as you put an end to the threat against all reality! Plus, you'll get pictures of the new and improved Appleloosa Valley, carefully reconstructed and expanded for maximum epic output! This is most likely what you will end up seeing in the final game folks! Finally, we have GoE: This Coming Storm Environment Preview Trailer #4. In this special preview trailer, you'll get a sneak peek at the new exterior of the Rock Farm, as well as the sprawling Sector 2 - Administration Wing, the Security Bunker player home and a sneak peek at the top-secret Sector 3 - Labs! That's right folks. For the very first time, you get a tiny glimpse at the Sector 3 - Labs. What you're seeing is the Pegasus Rifle Testing Range and the "Soft Words" Testing Facility, as well as the Sector 3 - Level D Utility Control breakroom and control room! I've kept Sector 3 under tight wraps because it's going to be a shocker at just what's waiting for you within, but I decided it can't hurt to show you a little, eh? Now a tiny little bit just from Novel! As some of you know, I've been writing a brand-new series of MLP stories available on FimFiction. My fourth story, The Cloudsdale Report just went live last week and managed to climb its way to the #3 spot in the Featured Box for four and a half days! If you haven't had a chance to check out these stories, go read them! I think they're pretty good (and apparently, some people actually agree with me! How weird is that?). Until next time, this has been Novel Idea, have fun and stay safe out there! Manehattan Update #50: More Arts! I know, I know. I missed last week's normal update. Sadly, I got hammered with a cold plus allergies. Nasty little bugger. Now, originally I was going to have a bit more for you this week, but the whole team's been beset by an attack of the dreaded REAL LIFE! Blue Nova, our Art Director, is actually getting married at the end of October, (YAY!) but that means he sadly has less time available for GoE arts. As for me, I'm finishing up the LOD generation on the New and Improved Appleloosa Valley! That means Level-of-Detail, which is pretty much everything you see at a distance. All games use technology like this. It's a lot of work, but it'll turn out awesome. 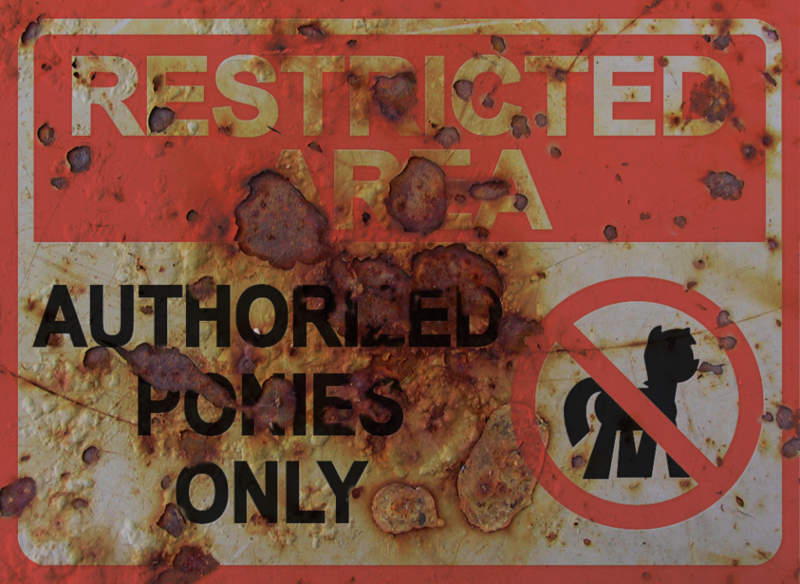 But, I do have some goodies for you, including a Fallout: Equestria icon. Yes, folks. 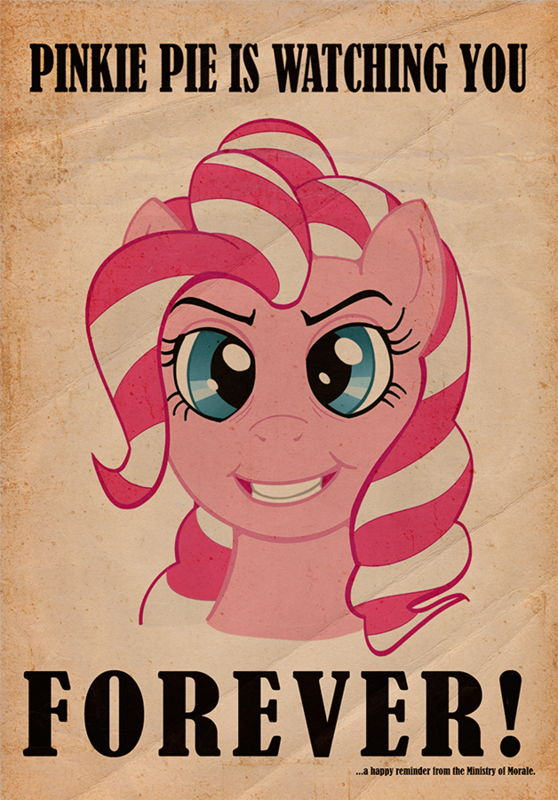 It is none other than our rendition of PINKIE PIE IS WATCHING YOU FOREVER Poster! The very first Ministry poster Littlepip comes across after leaving Stable 2! Seriously, Blue Nova did an epic job on this. Down to the tiny print in the bottom right! How awesome is this! /squee! 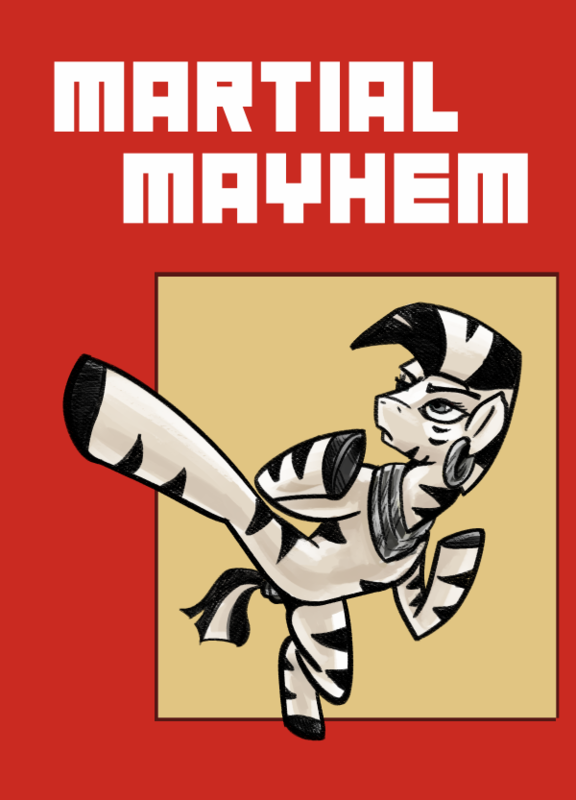 As you know, we've also decided to redo all the magazines and books in Fallout: New Vegas to their proper Fallout: Equestria variants. Now, while Kkat did all of the books, our esteemed worldbuilder did not attack the magazines (because there are way too bloody many). However, Somber had 1.5 million words to play with and he did tackle the books! So we're taking a page from his book (yes, pun very much intended) with...the Canterlot Journal of Medicine! Damn, he's good. This one will be replacing "Today's Physician." It's it just lovely? That's the two major art reveals for this week, but I've got some non-GoE goodies to chat about. As many of you know, I have recently embarked on a quest to prove to you all that I am indeed an author as I have claimed. And I am utterly delighted to say it looks like you folks believe me! To those of you who have read them and fired off a like or comment, thank you kindly! If you're interested in seeing just what madness goes on in my head, feel free to check them out. I recommend starting with "Applications." I have several more short stories/novellas planned and an enormous novel for NaNoWriMo set in this alternate timeline I'm calling the Wavelenths Timeline. You'll be hearing more about that soon. But that's it for this week. Thanks everypony and have a great day! Manehattan Update #49: Introducing Little Tinker + Exclusive Art Reveal! Novel Idea here! I know it’s been a little while since we last had a post, but remember we’ve decided to shift to a monthly update schedule. Heck, a few of you have asked if we’re still in business! Well, I’m happy to report we are indeed still in business and have made some serious strides with some really cool internal tools including stuff like Version Control. What that means is we’ll be able to have multiple people working on the project at the exact same time! (If it doesn’t seem like a big deal to you, you’ll need to take my word for it). I’m happy to report the polishing touches upon Appleloosa Valley, our enormous worldspace you’ll be exploring in the events of This Coming Storm are almost complete. There’s still a bit left to do, but once that’s done, I hope to have some cool new Environment Trailers for you to enjoy. Before we get to Blue Nova’s latest artistic masterpieces, I want to introduce a new member of the team. I’m very excited to welcome none other that Little Tinker to our team! I first met Little Tinker in the Equestria Daily Contributor Skype Chat (that’s a really long name). As we were both technically-minded folks we hit it off fairly well and he has been kind enough to be a beta reader for my latest short story endeavours (which I’ll be chatting about at the end of the post). But why should you care? Only because Little Tinker is the Sysadmin and a developer for none other than the Poniverse series of websites. The guy’s got more scripting and coding knowledge in his fetlock than I do in my entire body. So please welcome him! I’m totally thrilled to have him on board. Now that I’ve prepped you, he’s his own introduction in his own words! Charitably described as “happy-go-lucky” (but more accurately as incorrigible), Tinker failed the saving throw against Novel’s persuasion attempt and found himself added to the GoE Technical Team. While he has been known to write a line of code or two, this is his first foray into game scripting and is wondering what horrific crime he did in a past life for GECK to be his first game engine. 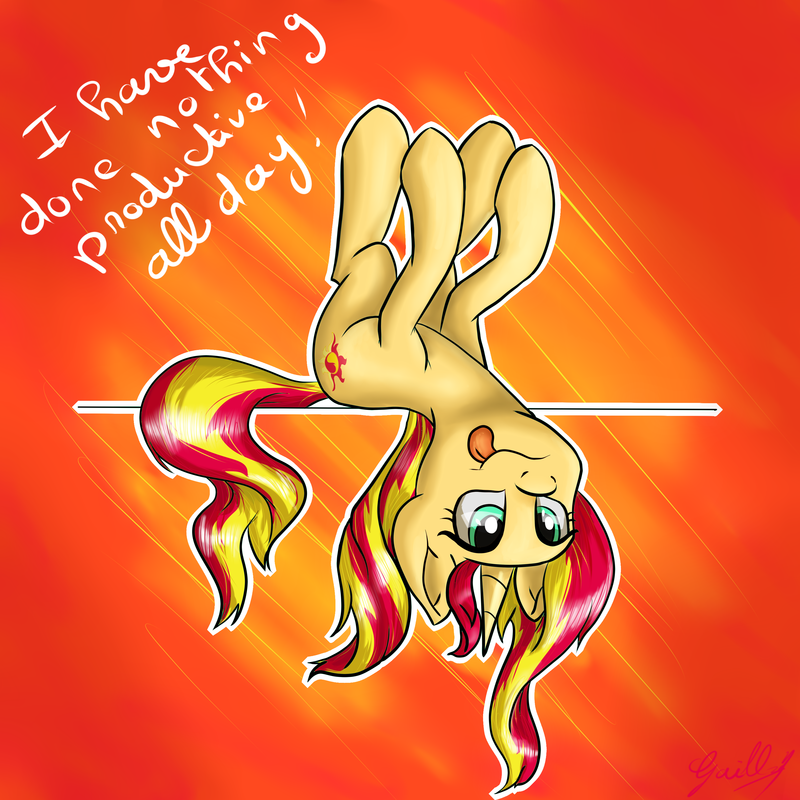 He currently occupies his days with his duties here, and at Poniverse and Ponified Cards. Tink has no free time. It’s been a while since we’ve had new material to show you. So today, you’ve got three completely original pieces! We’ll start with something plain ol’ fun! Finally, we have my favorite of the bunch. 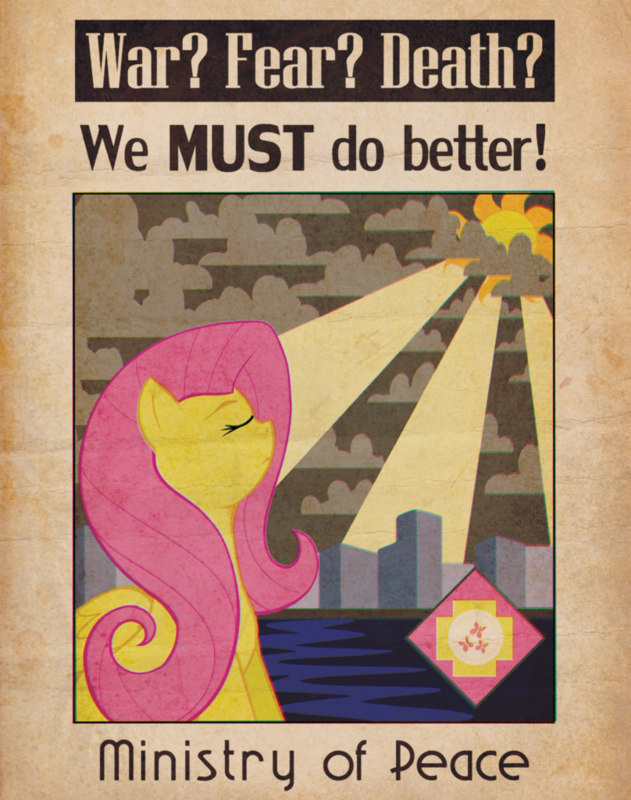 Blue Nova outdid himself with this gorgeous Ministry of Peace poster “We Must Do Better.” While it’s a bit different from the original descriptions, we wanted to reflect that classic 1930s/World War II poster style. Seriously, I just look at this and wonder what in the world I did to get such amazing artistic talent on the Manehattan Project! So now is my little bit. I’d like to let you all know I’ve released the next story in my ongoing series which I have decided to finally dub the Wavelengths Timeline. Reasons why this name was chosen will be revealed on my FimFiction blog next week (but you guys get to know first). To help somepony not out of guilt, but just because it’s the right thing to do. 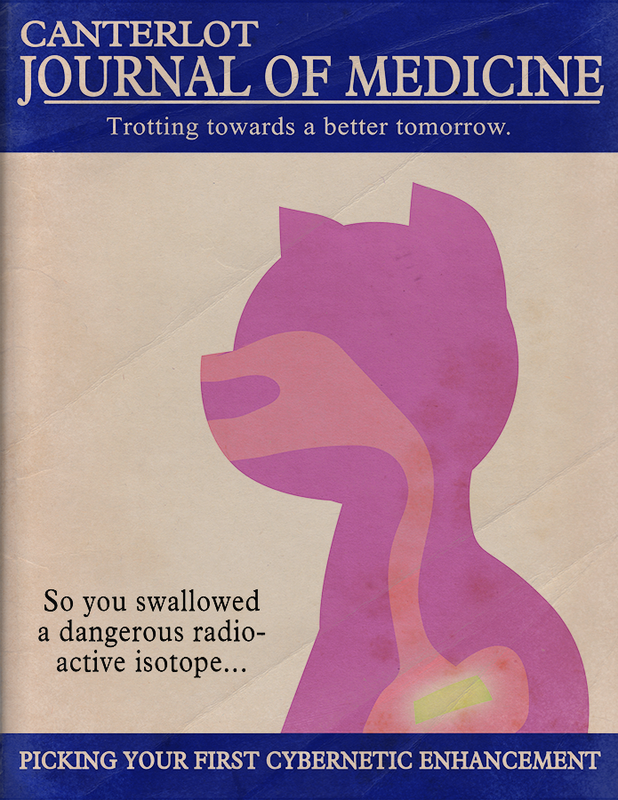 I’ve also written up a few more followups, if you enjoyed my previous offerings. To check them out, head over to Novel’s Nook. Manehattan Update #48: All Aboard + Something A Bit Different! Sorry about last week. Believe it or not, last Thursday I actually thought it was still Wednesday. Ever completely lose a day in a week? Seriously, I was really thrown off. Kinda scary. So today I’ve got a little something extra for you. But first, it’s time to unveil the newest member of the Manehattan Project! Hey there, I’m BlurredTheLines, I’ve been on this ride since October 2012. When I first joined this fandom, I was so in awe of all this fan-created content that I wanted to give something back. I threw myself into a number of pursuits, determined to find something I was good at. You name it, I tried it; drawing, writing, voice acting, vector art, animation, and so on. Though I didn’t really find anything I was good at until I tried vector art, but I did acquire some skills in the process. Since then, I’m always looking for ways I can contribute to the fandom. But wait, there’s more! We’ve also got a consultant who’s joined the team in full! None other than the one behind the original remaster of the Fallout: Equestria audiobook by Crazed Rambling! I started watching MLP: FIM during S1 hiatus but at the time was simply a fan of the show. I was, at the time, still working on releasing anime for people to download and watch. it wasn’t until S2 started and I found EQD and all the amazing things the brony fandom was creating that I would finally consider myself a brony. With my newfound passion, I couldn’t just sit back and take in the epic content being generated, I needed to give something back! I started by tweaking and adjusting my own personal collection of MLP Audiobooks, but then I started the original remaster of Fallout: Equestria by Crazed Rambling. Eventually, this was picked up by the Manehattan Project as a base for their “Manehattan Edition” of the audiobook. This led to me joining Manehattan, first as a consultant and now on staff in charge of audio post-production. And finally, I am happy to announce a promotion on the team! Ebon’s been hard at work going through the entire script of “This Coming Storm,” including every line of the 80,000 words of dialogue I wrote. With a long background of D&D Game Master experience and his own formidable writing chops, he’s offered to lend his considerable talents to making “This Coming Storm” the story-driven experience you deserve. The best part about Ebon is that his writing style is radically different from mine, so he’ll be able to see things I would have totally missed. In fact, I’ve already spoken to him about helping me to write the story for GoE 2! A bit of housekeeping. Originally, I had intended to make this a weekly update and that’s slowly drifted to a bi-weekly update. However, since we’re at the point where we don’t have a great deal to show you that’s new, we’re going to be shifting to a monthly update. Less frequency, but hopefully with more content! However, I reserve the right to throw out special posts, so keep a weather eye out. My turn! 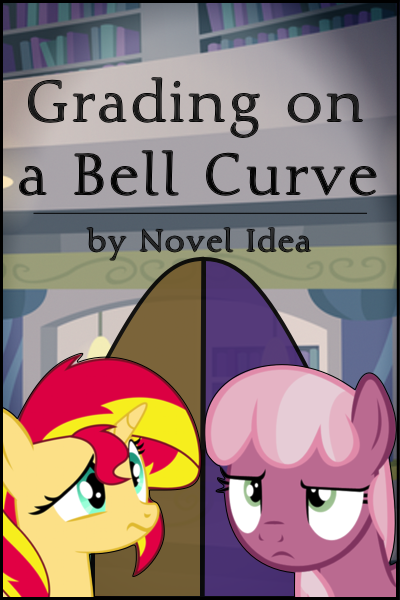 I’m happy to announce my first MLP short story is now available for your reading enjoyment! You can find it here on FiMFiction. Not only that, but I’ve created a custom .EPUB for you to enjoy as well. You’ll find that below. But as usual, there’s more. I decided to take a little corner of GoE.com for myself. Why? Because I built this site from the ground up, that’s why! And because I can. Mostly that. So now, you can head over to Novel’s Nook (it’s clever, shut up) any time you want. 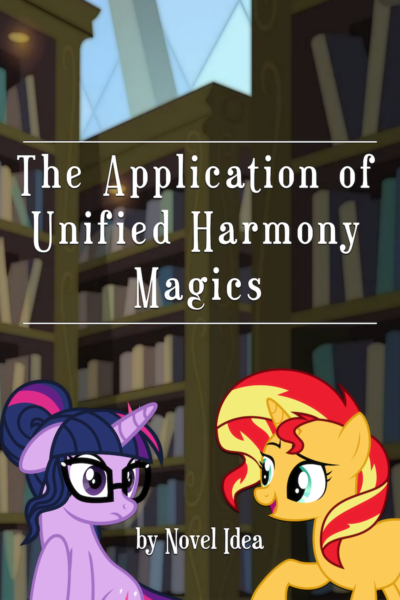 There you’ll find all manner of things, including my own latest short stories and my upcoming MLP novel, as well as my various rambling follow-ups on some of the best of FiMFiction in the world, stuff that any fan of MLP should enjoy. Anyone who’s read Fallout: Equestria should love the Hard Reset trilogy. You’ll find my follow-up on the Nook, as well as my massive gallery of cover designs (24 authors are now using them!) and a few more random things. I also have a new short story coming out soon as well. Don’t worry, I’m still working plenty on GoE (my refinements to Appleloosa Valley are simply massive. I’m literally created entire new mountain ranges and redone entire zones.) but writing will always remain my greatest passion. That’s all for this week folks! Have a great day and we’ll see you soon!